Produced by Gil Norton, engineered by Al Clay and Marc Crellin. Sleeve by Vaughan Olivier and Simon Labalestier. "Heaven" is a cover of the Lady-In-The-Radiator song from the David Lynch movie "Eraserhead". The song was written by P. Ivers and David Lynch. 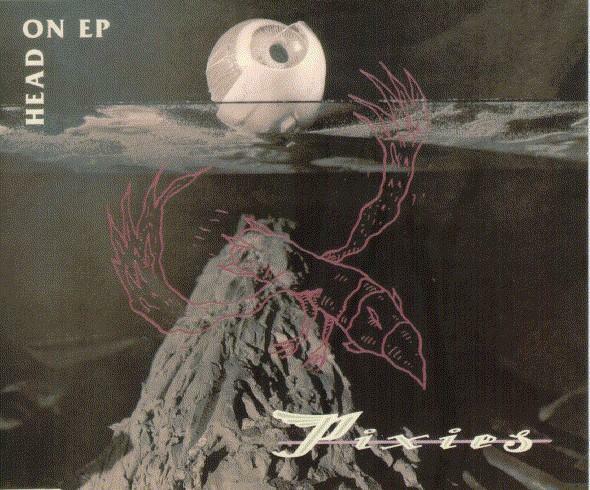 "Gigantic" and "River Euphrates" are different from the versions on SURFER ROSA. Live tracks were recorded in Town and Country Club, London, May 1st 1988. This single was not released in the USA, but is not UK-only. Backing tracks recorded at Fort Apache, Boston, MA, and engineered by Paul Korderie. Backing tracks respectively recorded at Palladium, Edinburgh, by John Turner, at Fort Apache, Boston, MA, by Paul Korderie, and at Eden Studios, Newtonville, MA, by Claude Fixler. Produced by Gil Norton, engineered by Alistair Clay and Steve Haigler. Sleeve design by Vaughan Olivier, Simon Larbalestier, and Anne Garrigues. 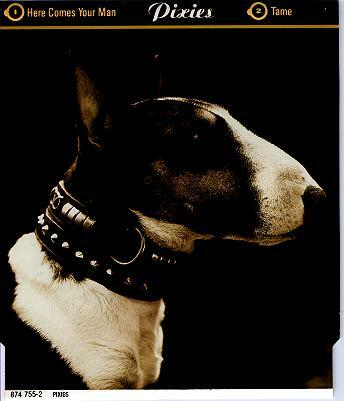 First copies of UK 12 " included a poster. "I've Been Waiting For You" is a Neil Young cover (from _Neil Young_) with low vocals by Kim. "The Thing" is the second part of "The Happening" with Dave on vocals. Dave also sings "Make Believe". A promo release of the 12 " exists. "Dig For Fire" was slightly re-mixed for the single by Chris Sheldon. Sleeve design by Vaughan Olivier, Simon Larbalestier, and Christopher Bigg. "Winterlong" is a Neil Young cover that appeared on the Neil Young tribute album "The Bridge". 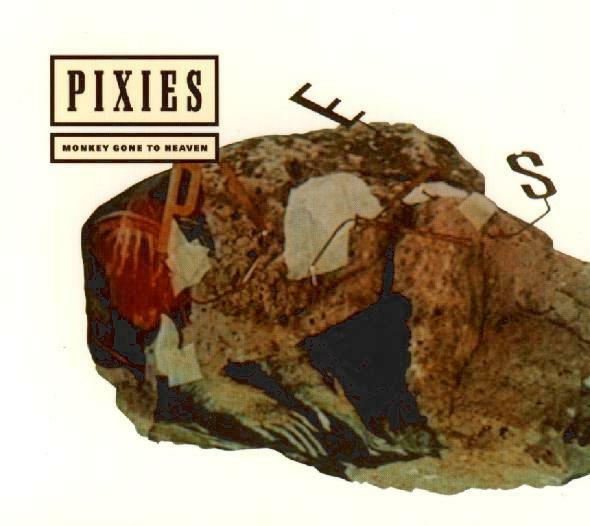 Includes French releases of "Gigantic", "Here Comes Your Man", and "Monkey Gone To Heaven" CD singles. The cardboard box has three pictures on it: the monkey, the baby, and Spike (the dog). Singles are the same as the UK ones. There is also a promo release of the 12 ". 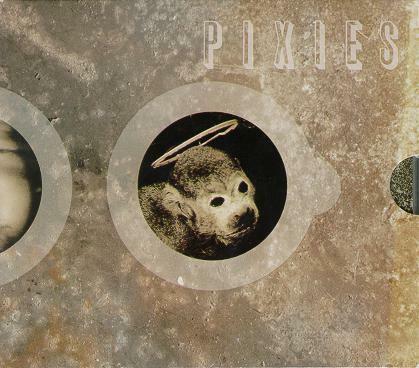 The voice mix in the single version of "Planet Of Sound" is different to the one from the album (less distortion). The live songs were recorded at the Brixton Academy, 26th July 1991. 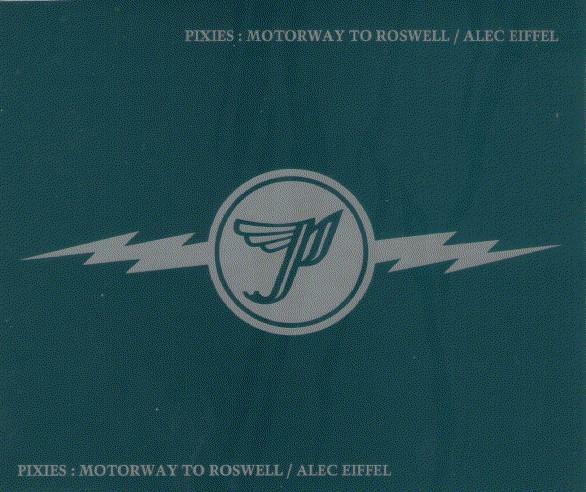 Note that Motorway To Roswell is the French CD's first track. The instrumental sounds exactly like the LP version of the song except that the vocals parts are played on guitar! The first two songs are straight off _Trompe Le Monde_, the first two live songs are the same as those on the European "Alec Eiffel" single. 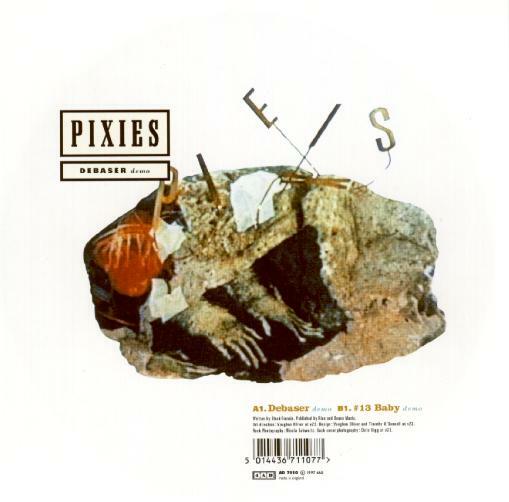 "Debaser" is the same version as on PIXIES LIVE promo. 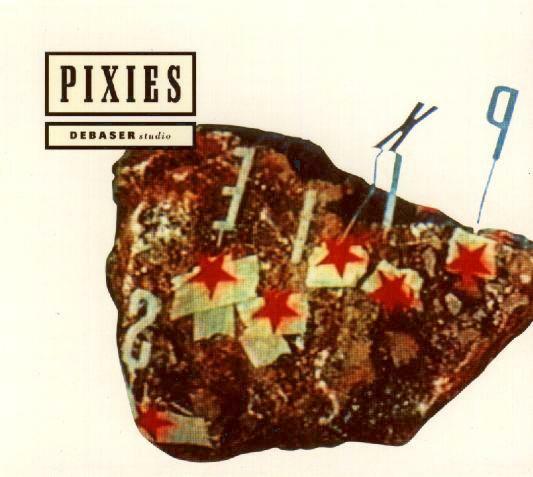 Debaser has been slightly remixed for the single (Clif Norrel Mix). Tracks 2-4 studio session recorded for VPRO Radio 3 program "De Wilde Wereld" in 1990. All live tracks, recorded 8-10-89 at Cabaret Metro for Chicago's WXRT. 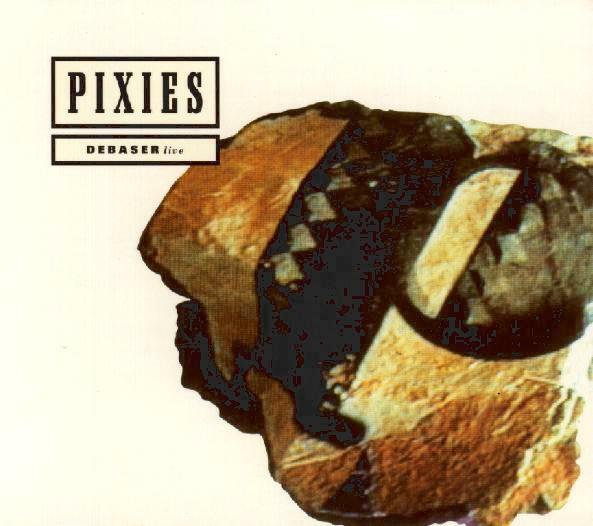 Tracks already available on Pixies Live promo. Tracks 2-4 studio session recorded for VPRO Radio 3 program "De Wilde Wereld" in 1990 (also available on Debaser Studio CDS). 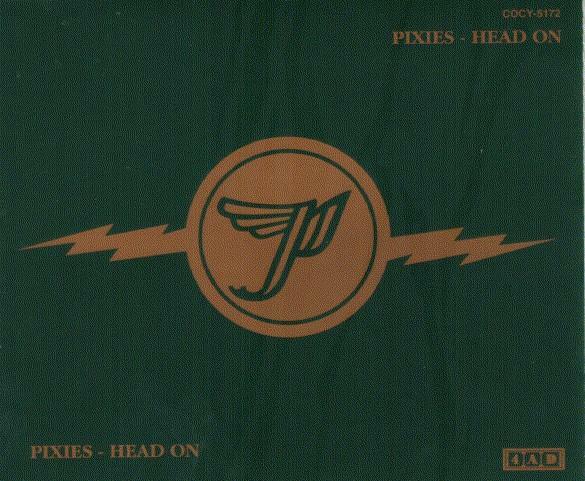 This download-only single is sold via the site ilovepixies.com. 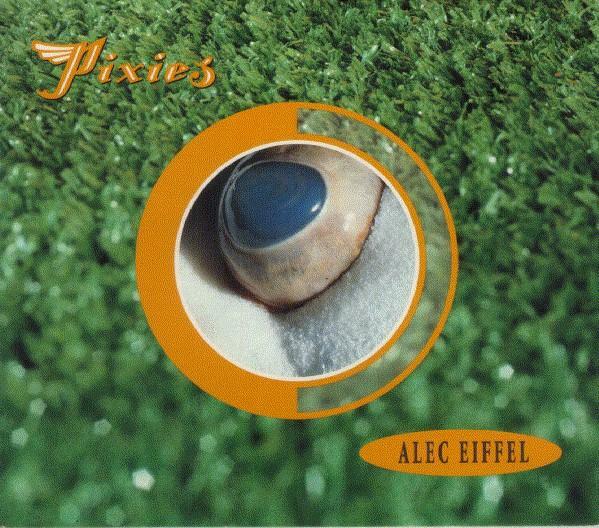 The live versions of Tame and Planet Of Sound are also available on on various previous releases, including Alec Eiffel single. 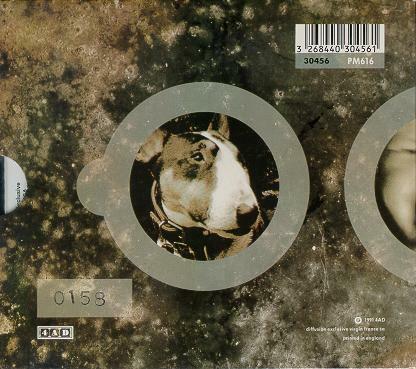 The live version of Debaser is also available on various previous releases, including Debaser Live CDS.